Thank you for taking time to inquire regarding our yoga and healing collective. We are currently in a transition time and no longer at the Ambrose location in Los Feliz. This came to us as a sudden change and apologize for any inconvenience this may have caused. Our intention is to continue to share beautiful, uplifting, high quality events in the community. 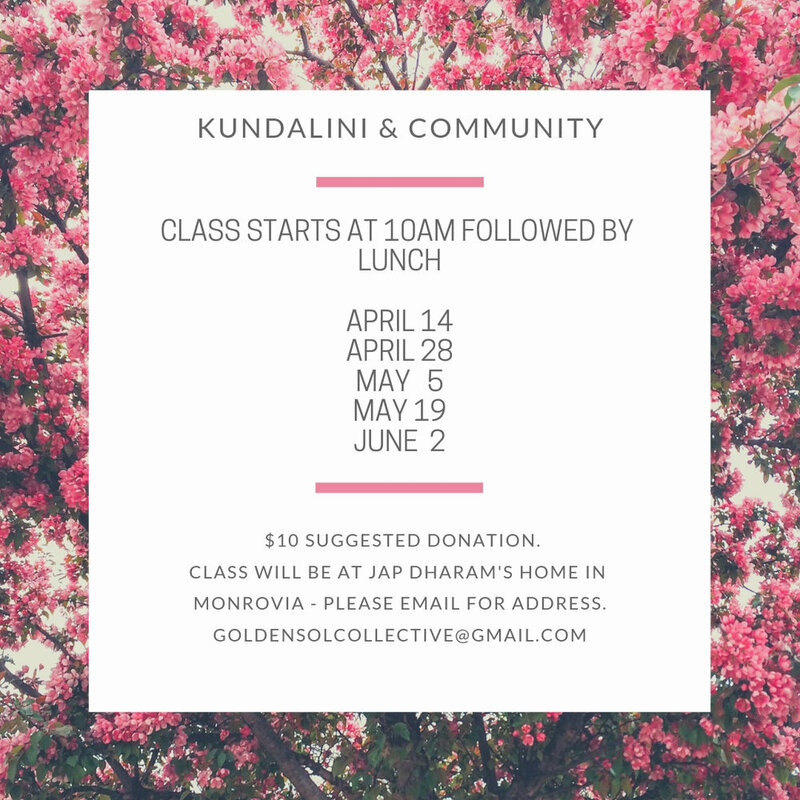 We are creating a directory of the most trusted and talented healers and teachers and will continue to collaborate with local teachers and share special events and classes sponsored by Golden Sol here and on social media. Our goal is to continue to provide inspirational gifts for your wellbeing, please stay in touch via our instagram, newsletter, and website. We are being called to trust in the inner knowing that home is where the heart is. That is why we encourage you to keep up on this beautiful path of self love. Keep lifting up, sharing, and being advocates of peace! We wish you all the best on your journey and look forward to our paths crossing very soon.